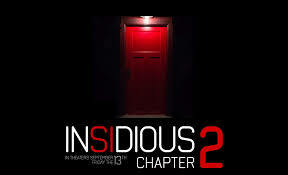 Insidious Chapter 2 easily scared away the competition this weekend at the box office ($41.1 million). It reportedly cost $5 million to make, so expect more sequels to come, as a new Horror franchise for the next half decade has taken course. Meanwhile, the Robert DeNiro dark comedy mob flick The Family, managed a mediocre $14.5 million... which is actually higher than expectations. Vin Diesel's Riddick, dropped over 60% to third ($7 million). And The Butler finally passed the $100 million mark in it's 5th weekend.